Eggs provide a significant amount of protein to one's diet, as well as various nutrients.Those who indulge in body building are known to take raw egg. Even some vegetarians eat egg. In India we have advertisements saying that egg should be consumed.The egg is one of the few foods which naturally contain Vitamin D. But one should also not forget that About 60% of the calories in an egg come from fat and a Chicken egg yolk contain about 10 grams of fat. Egg is not one of my favourite food items. My mother tried to feed me raw egg stirred in milk when I was a child and I throwed up. I have not eaten egg or could bear the smell of it till the age of 20. 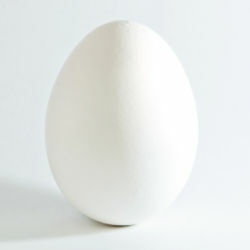 But gradually I started eating egg white if it is properly cooked but still do not eat egg yoke. I do not mind egg in pasteries. What about you? Do you like eggs? Hi lovelydame,You told lot many things about eggs but I never eat eggs.Rather I prefer to eat Apple. Asit is said that"An apple a day keeps Doctor away" but nothing is about eggs yet.. Well I think you may be right eggs can may have this many types of things but I have not eatten it before so I have not any type of temptation to eat it. My health is fine though I am not eatting eggs..Anyway I will not talk more as subject new to me and I have not experience about this subject.Bye. It's funny but I never liked eggs. I'd eat scrambled if I absolutely was forced to as a kid, but that was the extent of it! But when I got pregnant with my first child - I CRAVED fried eggs! Had 2 every day - I couldn't stop! After the birth, couldn't stand the sight of them! Same thing for iced tea. I drink probably at least a gallon a day - have for the last 30 years, but when I pregnant with my second child - it was disgusting and I couldn't stand to take a sip! After birth, right back to a gallon a day! Go figure! Hi coffeebreak! I have heard of this cravings but have not experience it. I also do not like eggs much and do not eat egg yoke. Thanks for your response. I love eggs. I like to hardboil them and eat only the whites. That way I'm getting pretty much just protein along with 17 calories per egg. The yolk has a lot of fat and carbohydrates, so I just go for the whites. yup, i lke egg special when i cook sunnysideup also boiled egg, most of my breakfast is egg. Undoubtedly yes! But then not in the form of raw eggs or rhe raw eggs beaten in thev milk! I know many people they do like to have eggs in raw form! It gives an unpleasant smell and it is not even good for health! The raw egg contains an agent which inhibits the absorbtion of biotin in the gut, Thus instead of making good this factor inhibits the absorbtion of available biotin in the stomach which is available from other sources! Cooked Eggs and Eggs made as Omlets or Poach is my favorite one and the egg made as typical Indian curry is also one of the way I relish it! The white part of the egg is actually the non vegetarian part of egg which is protein in nature and it is coagulated on heating and the yolk is vegetative part and it is the main source of nutition to the chick while it is being developed inside the eggh! Thus the yellow part is more nutitious than the albumen,. n. The albumen is only protein where as the yolk is having many nutrients along with trace elements required for developmwnt of living form! Well that was a nice piece of discussion initiated by you! Wish you all the best and hope you will gradually start eating yellow part of the egg also and very soon I expect you tom post your experience about it! Thanks! Yes I like eggs and I eat them often. Fried, scrambled,poached, boiled any way you fix them. I do have one habit that everyone thinks is funny but I clean the egg. What I mean is I take the white stuff that is attached to the yoke out before I cook it. Not the clear white of the egg just the white stuff. There is something about it I just don't like. I even pick it out of the boiled eggs before I eat them. yea i like egges because this is my one of the best food. I like half boiled eggand eat daily one egg in the morning along with milk.I like omlet also. Just opposite to you, egg is one of my favorite items since young. I like all kinds of dishes which are prepared from eggs except steam egg. I like clay pot chicken rice with egg on top. I like fried egg and the egg yolks of salted egg the most. Anyway I like to take egg white and egg yolk together. I do have a friend who just likes to take egg white only and hates egg yolk but not because of its high cholesterol. I like eggs. I wouldn't eat them every day, but I do like them. I"m actually the opposite of you. I love the egg yolk and I love it when it's not too cooked. My favorites are fried eggs, sunny side up. I love to eat them with french fries. I also like poached eggs. I used them a lot in cooking. The egg whites can really make things fluffy and light, and the yolks can thicken some things nicely. I like a lot of desserts that call for lots of eggs, but I don't do them too often. Yes i like eggs very much as it is good for health. usually i prefer to have 2 eggs at a time but it is boiled i take more than 2. always yes to eggs. Yup, eggs are my fav.. I love to eat omlet..
Eggs do provide nourishment to one's body and can be used in many forms to eat. Nowadays i don't eat eggs but i used to eat it more as a kid in form of omelette, egg curry. Yum! Eggs are a fave here (not much isn't these days!). i like mine hard boiled or soft boiled. the rest I'll take it or leave it, but do not give me an omlette! lol. I am very fussy with my foods, and eggs are no exception. Just as well my husband knows what I like!